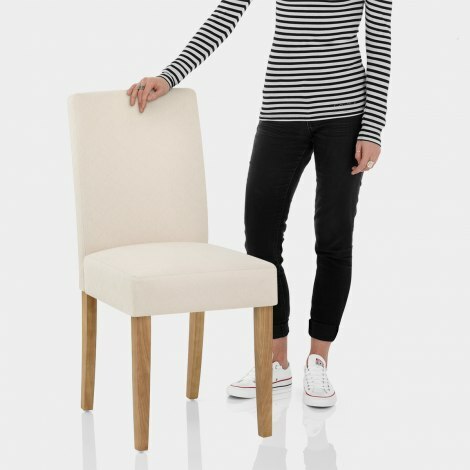 Styled to suit a range of interior spaces from the kitchen to the dining room, the Austin Dining Chair Cream is a fashionable item. A chic fusion of traditional design and modern detail, the Austin brings a smart look to its surroundings. Detailing the seat in style is a subtle diamond pattern for eye-catching allure. 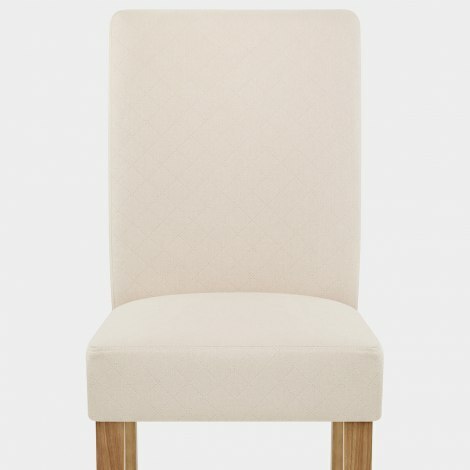 This adds a classy touch to the cream fabric upholstery that covers the sprung and belted seat. Additionally, the tall curving backrest is in keeping with the comfortable design. The seat is elevated by four solid wooden legs for a strong and sturdy base. A polished oak finish adds rustic appeal and complements the neutral seat. Protective pads are final practical additions that help to preserve floors. "Awesome service....really good comfortable chairs"
Awesome service....really good comfortable chairs! We bought 8....thinking about purchasing another 2. Have ordered things before.....would really recommend.....and I’m hard to please! !